A Westwood High School Senior poses for his Portrait in front of a garage door for his photos. He is wearing a black shirt and a silver cross. This senior wanted photos that felt real without having it done in a studio. The background is orange with a hint of blue. the sun is over to the left of the frame but the building is giving us a good amount of shade to be able to get nice skin tones. 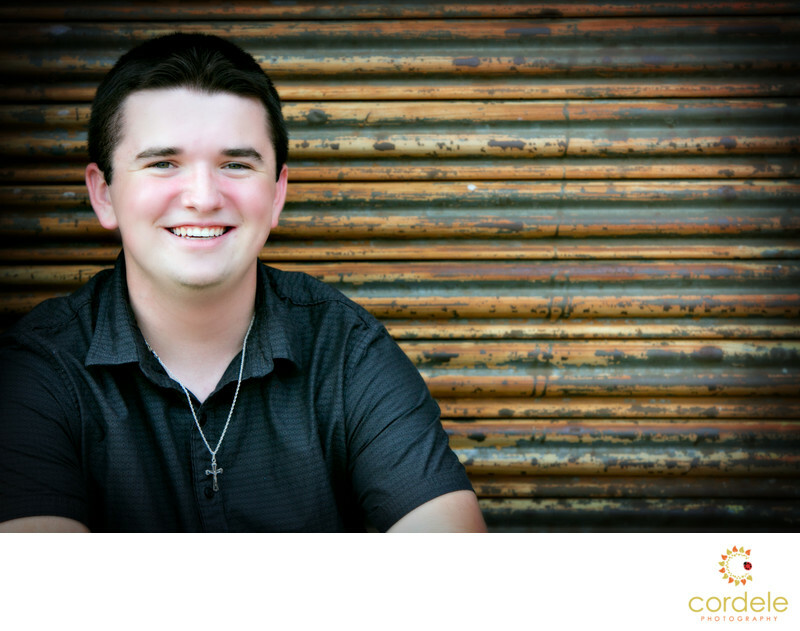 Senior Portraits are some of our favorite work to do. Getting the teenagers to do something cool and fun that reflects their personality is key. Location: High Street, Westwood Massachusetts.